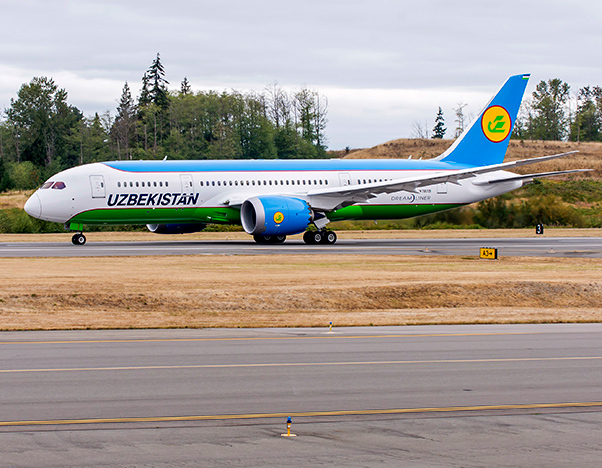 Boeing and Uzbekistan Airways, the flag carrier of the Republic of Uzbekistan, announced April 30 the finalization of an order for one 787-8 Dreamliner, valued at $239 million at current list prices. Uzbekistan Airways currently operates two Dreamliners on international routes, including Europe, Southeast Asia, Japan and USA. With today’s order, the carrier will add five more Dreamliners as part of its plan to modernize and expand its fleet. The 787 Dreamliner is a family of super-efficient and long-range commercial airplanes. Since entering service in 2011, the 787 fleet has flown on more than 1,500 routes, including over 180 new nonstop routes around the world. Over seventy customers have ordered more than 1,300 airplanes, making the 787 the fastest selling twin-aisle airplane in history. The 787-8 Dreamliner offers airlines exceptional environmental performance – 20 percent less fuel with 20 percent fewer emissions than the airplanes it replaces. 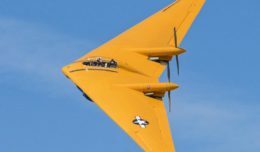 The airplane can fly 242 passengers, in a typical two-class configuration, up to 7,355 nautical miles (13,620 km).